The product photo above is a 4 inch square section of Linen Floral White upholstery fabric. 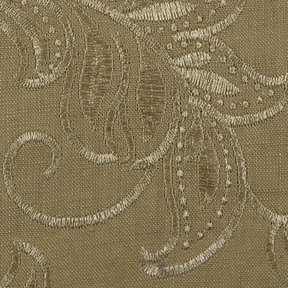 Linen Floral is a distinctive linen blend with an embroidered Traditional pattern. Coordinates directly to Linen Touch Plain. A perfect product for drapery, top of the bed and home accoutrements.